The high integration of SEMIKRON’s new ASIC chipset provides for safe IGBT gate control over the whole lifecycle. Short circuits are managed very fast by separate error channels. SoftOff and over voltage feedback avoid dangerous overvoltages. The mixed signal ASICs guarantee minimum tolerances over the full temperature range. MLI or paralleled IGBT topologies are managed by adjustable error handling. With an optimized interface and the adjustable filter setting the SKYPER IGBT driver family survives external interferences over 100% of IEC standards. SKYPER 12 R is the latest driver core which delivers 20A output but is smaller than a matchbox. Thanks to its feature set and robustness the driver is suitable for simple drives as well as ambitious interleaved applications. The SKYPER 12 PF is a plug & play driver solution based on the same platform, allowing a solution without adapterboard for 17mm modules. SKYPER 42 LJ offers the benefits of digital signal consistency while maintaining full performance. 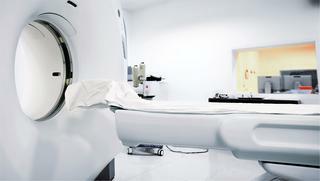 Ambitious applications such as medical or large drives up to 500kW are securely powered. SKYPER 32 is the perfect solution for industrial drives and process control applications. SKYPER 42 meets the requirements of induction heating / welding applications that call for high currents, durable solar inverters and motor drives between 500kW and 1.5MW. The new plug & play driver SKYPER Prime and Prime O is the best match for high power with SEMITRANS 10 modules up to 1700V and 1800A. The SKYPER drivers are available as IGBT driver cores and plug & play drivers. 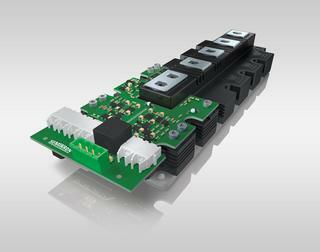 The SKYPER platform can drive 600V, 1200V and 1700V IGBT modules. SKYPER 32 drives with a standard and a PRO version 1W per channel. The PRO version has additional protection features such as external failure inputs and SoftOff. The SKYPER 42 has 4W per channel and can drive up to 2500A IGBTs. The SKYPER 42 LJ has 3W per channel, closing the gap between SKYPER 32 and 42. The driver core SKYPER 12 R and the two qualified plug & play drivers, SKYPER 12 press-fit and SKYPER Prime, offer maximum performance when using SEMiX press-fit or SEMITRANS 10 modules.